For many years John Faulk had operated a ferry at Noxon until one spring when high water tore it loose and it was gone, and probably smashed to bits going through the Cabinet Gorge miles downstream. Then a boat that had broken loose from the Green ferry upstream a year earlier was purchased from Riley Eldridge and others one December "to be installed at Noxon for a ferry." A bridge had been built at Thompson Falls so the ferry was no longer needed there. The forest service at Noxon purchased "the big cable and other paraphernalia on the Thompson Falls ferry from E. Preston and moved it to Noxon "where it will be used by the government for ferry service across the Clark's Fork." Ed Hampton was to take charge of the ferry business.1. With a ferry in operation again at Noxon in 1912 ,O. E. Peppard began a bridge building project across the slough behind the railroad depot at Noxon, on the road from town to the new ferry. Meanwhile, S. S. 'Sunday School' Brown was taking the train back and forth often to Clark's Fork where he had a lumber camp.2. Miles up the Clark's Fork River Sanders county commissioners put convict labor to work building a road which they hoped to extend to Idaho, eventually. Utilizing a crew of fifty-five state prisoners "one of the most difficult pieces of road building in (the county) at a cost for less than would have been possible otherwise" was built. If the services of said state prisoners could be retained the "main thoroughfare" might be completed "to the Montana-Idaho state line."3. A year later the editor reported, "convicts building the wagon road to Idaho have reached Copper Point. The road will be of inestimable advantage to people on the north side of the Clark Fork, giving access to the Trout Creek bridge ... Superintendent Kendrick is in charge with three guards, one experienced miner and fifty two convict laborers." Three miles of road were completed. "The convicts are well contented and consider it like a holiday to get outside the walls of the penitentiary where they get fresh air, better food and more freedom. "They live in tents fitted with two tiers of bunks and plenty of good bedding. A heating stove in each tent. A bathhouse is furnished. Each man is required to bathe at least once a week. Each is supplied with a suit of grey woolen goods, extra heavy fleece-lined underwear and a pair of moose hide mittens ... Dinner consisted of roast beef, mutton stew, boiled potatoes, macaroni with cheese, bread, butter, tea, coffee and apple pie. Supper - mutton stew, fried potatoes, bread, butter, tea and coffee, cake and apple sauce with currants. Lots of food. "They have newspapers, magazines and books to read in the evening or can play cards. Each get a weekly supply of tobacco."4. This cost the state 50 cents per man per day; county 5 cents plus the cost of tools and working materials: powder, fuse, and dynamite caps. 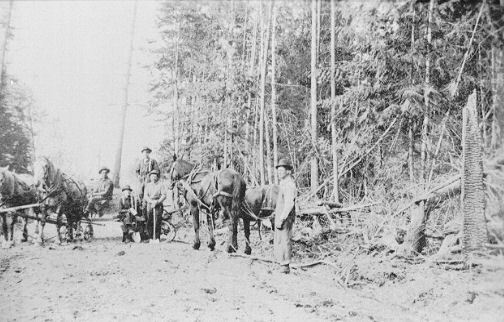 Road building crew at Noxon August 1, 1914. Courtesy William Finnigan collection. However the road did not progress beyond Noxon on the north side of the Clark's Fork for many years. Narrow dirt roads, hardly more than trails were all the settlers had. As late as June Mr. and Mrs. Gordon had to ride horseback from the Bull River Forest Guard station into Noxon for their mail and supplies. The spring breakup had turned all roads around Noxon into muddy morasses which made wagon travel all but impossible for yet another month.5. A few settlers had bought automobiles, especially upstream at Thompson Falls, and wanted to be able to drive to visit friends and relatives in the west end of the county. J. H. Bauer, surveyor, assisted by Mr. Vaughn, were busy surveying a road to be built over Tuscor Hill that would do away with the worst hill between Thompson Falls and Sandpoint (on the south side of the river).6. "At the present time the Tuscor hill road is so steep that all machines (automobiles) have to either use block and tackle or hire a team to take them over." A contract was let August 23 to E. W. Preston and W. B. Smith for $1,949.7. Across the river the road into Rock Creek was being improved by a crew. By the end of each day the men dynamiting stumps, driving the team-drawn grader, or pick and shoveling the rocky outcroppings, were bone weary, raunchy with dirt caked sweat, and almost too tired to walk back home. "The people in the western part of Sanders county have not been benefited by any substantial county improvement although $11,000 in taxes were paid last year."8. In the argument put up to the county commissioners they asked for a bridge to be built at Noxon. The railhead was on the south side of the Clark's Fork. Most of the agricultural land was on the north side. Extensive timber products, mining prospects, cattle, farm products, and especially, people, needed a more dependable mode than a ferry to cross the river. Thompson Falls and Trout Creek had bridges. Funds had been liberally subscribed to further that end. The bridge they wanted in the west end was estimated to cost $40,000 and, they contended, the money was available. But their neighbors at Heron were opposed to the county building this bridge. "For no development, however merited or desireable, could we further bond the county ... ," they harangued loudly, then went on to propose, " ... citizens of Heron have for weeks tried to get the people of Noxon to compromise upon Smeads as the site (of the bridge)." This gave rise to the contention that Heron was not opposed to the county spending money for bridges, but was instead envious that Noxon, and not Heron, might be the recipient.9. Agriculture land on Swamp Creek, upstream from Noxon, was 11,000 acres, while downstream the Bull River valley could boast only 4,000 acres. Thus one faction contended the bridge should be nearer Swamp Creek, not at Smeads, which was at the mouth of Bull River. The conflict raged ... elections were far off, in June, allowing time for plenty of political intrigue. When June arrived bringing balloting time on the question of bridges for Noxon or Dixon and a proposed high school for Plains, only 700 of the 1400 eligible voters cast ballots. Senators H. L. Meyers and Thomas J. Walsh, and congressman John Evans won election. Since Noxon was so far away from the mining conglomerates in Butte that wielded great influence on elections, most of the voters were financially unaffected and thus free of political skullduggery, each voted strictly as their beliefs led them. Their interests were self-centered, and although there were still prospectors hoping to interest the big mining financiers in their claims, more interest was generated by the bridges and schools than anything else. The following front-page story told it like it was. "Thou Shalt Not Double Cross. Now it came to pass in the sixth month of the year of our Lord nineteen hundred and thirteen that a great election was to be held within the kingdom of Sanders. And the Plainites sent a delegation on a long journey to the land of the Dixonites, to confer and reason with them. "Then the Plainites again said unto their messengers: 'Go thou unto the land of the Noxonites, and deceive them likewise, for it has been revealed unto us that they also mightily yearn for a bridge. "Whereupon they journeyed unto the land of Noxon and spake unto them in a like manner. And it came to pass that upon the day of the great election the Dixonites and the Noxonites did as they had agreed, voting with a mighty power, remembering their covenant. "The Dixonites to the strength of 115 and but two backsliders; the Noxonites to the strength of 36 to six backsliders. "But lo and behold, when the results were counted on that great day, the Plainites had forsaken their covenants and agreements and voted not for the bridges, but casting a majority against them. "And the multitude of other 'Ites' in the land of Sanders arose with one voice, saying: "'We care not that thou hast lost both school and bridges. It serves you dog-gone well right! Deceive not thy neighbor, for it returneth unto thee like a back-action boomerang." Caption: Aleatha Bauer Moonen on their bridge across Bull River to their homestead. Courtesy Clayton Bauer collection. The advent of horseless carriages in some parts of the county prompted the county commissioners to impose new rules in the contracts they were letting for county road building. "Said road to be not less than twelve feet wide on solid ground and all side slopes of three feet or more in height to be at least one foot to one foot." Right in the middle of his horses back. Then pulled out his snoose box with all his might." And sometimes, riding wild and free far from the hearing of females and preachers, they parodied the words.10. "paid $60 a month for a ferryman and Noxon provides the ferry. Saturday evening a Forum decided the matter and Messers. Beal, Earl Engle and W. E. Ellis were elected as directors. A contract was drawn up with Mr. Hampton, owner of the ferry, to run it for one year. A house has been built near the south approach to the ferry and the ferryman is always on hand from 7 a.m. to 5 p.m. on weekdays and from 10 a.m. till noon and 3-5 p.m. on Sundays. Money was subscribed to repair the ferry and build the house."14. When Ed Hampton owned the Noxon ferry he had a Chinaman, the 'Boxer' or Lee, working for him who ran the ferry at night. Hampton would stay over town and play cards. "So I went down to the ferry. Uncle Jim was with me. We led our horses on, flapped the reins around the post, making a half hitch to hold them. Then that Chink said, 'Me want money. Me want money,' holding out his hands. "I made a run for him and I got ahold of him alright enough. But the dirty bugger he had them long fingernails and he grabbed me right on the breast! Christ, he sunk them fingernails in. And damn, I was mad then and I hit that sonafabitch and knocked him over agin the wheel. I would've throwed him in the river if Jim hadn't been there. But Jim said, 'You'll get in the jug for sure,' and pulled me off. "That Chink had the damndest looking face. I really hit him. I really plowed it to him. But I had the damndest sore chest, too, where he cut them nails right through my thin shirt. It hurt like hell as we rode home where I put some carbolic salve on it." Unidentified pretty girl posing on a road grader. Travel methods remained unchanged throughout 1914 at Noxon, but at Thompson Falls the forest service began using automobiles and initiated a motorcycle patrol system as fire danger became serious again. With war clouds threatening, the county commissioners weren't building bridges. Marion Larson gave a Valentine dance in Peek's hall in 1915 giving settlers an opportunity to gather, dance, laugh, and exchange the latest news: Jesse Gage, Noxon's only barber, was turning his business over to his brother, William; a teacher's training and bible study class was organized to meet on Wednesday evenings; Jess Beasons house burned down bringing to town the insurance agent who inspected the ruins. Charlie Ellis had had a narrow escape while coming down the bank to the ferry on the north side of the river with a load of ties. His brakes failed and he nearly ran into the river where the road turns to the ferry. Reverend Lang, preached twice a month at Tuscor. Prohibition, or the Booze Bill, was to be voted on in November 1916. Not many believed it would pass, though.11. Acording to Don Maynard the usual number of fights began on the upper landing of the outside staircase ascending to Peek's hall and more than one tipsy fellow took a rude tumble down them, ending up fighting in the street before the night was over.12. "Lee Fook, a chinaman employed on the railroad section fell off a car of coal, broke his neck, and was instantly killed. The coal was being unloaded by the section men into a coal house near the depot. Lee had used a post to pry open a door in the roof. He lost his balance when he threw the post down." Lee had a wife and family in China.13. After the middle of March while the river was free of ice, yet not swollen with high water, Ura E. Ellis and Joe Hammon moved onto the homestead ranches they'd claimed on the north side of the river. Reverend Pringle of Kalispel, Montana was conducting a series of religious meetings in Noxon.15. Joe Hammons and George Phillips rode horseback up Bull River one mild March day to tend to the business involved in building a new schoolhouse up there. Snow still lay in scattered patches among the timber but was mostly gone from the meadows. So many settlers had petitioned the county commissioners that they had finally accomplished getting a schoolhouse located where their children could attend.16. "a blind and armless man and a 'peg-leg' man camped in Noxon and were peddling soap to Noxon folks." "so heated that words became ineffective and stones were resorted to. Charles King received a scalp wound so that he has had his head bandaged all week."17. Gores, having decided Noxon was the place for them to make a permanent home, began to build their home. Several men from the cedar post camp that Eddie worked in took time off and pitched in to help him build a large log cabin on his homestead east of Noxon. "Eddie cleared up a small meadow and plowed it so we could have a big garden which helped out a lot," his wife, Carrie said. "I canned all the vegetables that wouldn't keep through the winter. We had a large spring right at the back door, which was wonderful. The next spring Eddie bought a small team of horses, which enabled us to go places. "A party by the name of Knott lived about a mile from us. They had cows and chickens that we bought eggs and butter from. The winters were terrible with snow around four to five feet deep and Eddie snowed out on snowshoes to town for the mail and a few groceries. "We always laid in a big supply of the staple things such as 100 pounds each of sugar and flour and lard in large cans about twenty five pounds each. We ordered a lot of other things from a company by the name of Burgans in Spokane that the store in Noxon didn't have. "We went to town once in a while in a sleigh and always stopped and visited Mrs. Meadow. She was such dear old lady and always had us stay on for dinner. Our dresses were quite long. To the calf of the leg and made out of heavy material. My mother lived in Coeur d'Alene and she bought me the material for Cleo and my dresses. I had a sewing machine and did all of my own sewing. "We wore high top shoes, the button kind, and over-shoes. With long leggings on up to our hips so we didn't mind the cold weather. Mother made Cleo a heavy snowsuit. My father kept us in reading material. "Neighbors who were close (very few) came and spent the days and night and enjoyed playing cards and Eddie played the guitar and we all sang songs and enjoyed ourselves that way. "The community had dancing up over the grocery store (Peek's) and everyone fixed up some kind of dishes and we had home-made cakes and pies. A lovely dinner. And everyone enjoyed going to the dances. Everyone was so jolly. No drinking. They didn't have any community activities to my knowledge, other than the dances. Later we moved down to Noxon to put our little daughter, Cleo in school."18. A dance in the Pilick schoolhouse on Bull Rive. Circa 1915. The two fiddlers, Algie Berray and E. E. Thompson, didn't always agree on a tune. At one point one fiddled 'Turkey In The Staw' at the same time the other fiddled 'Pop Goes The Weasel'. Courtesy Margaret Larson Cluzen collection. 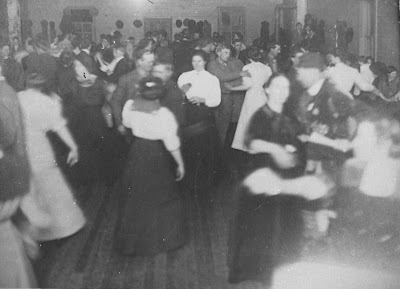 On May 14, 1915 the new schoolhouse on Bull River was celebrated with a dance. It was built a mile south of the Bull River Guard Station on a spot known as Pilick flats. At one point the musicians could not agree on which dance to play so one fiddled a tune in one corner of the room while the others played a different melody in the opposite corner. It didn't prevent the dancers from whirling around and enjoying the whole evening immensely. Harry Tallmadge had been home to visit his mother and had in mind taking a Bull River girl to the dance in the new Pilick schoolhouse. But the young lady's mother refused to consent upon learning Harry planned to take her by rowboat. Carrie Gore didn't get to the school house dance in Bull River but she did enjoyed attending a show that was presented in Noxon. And then, in June, she couldn't make it to Noxon when the Presbyterian Ladies Aid was organized and met at Mrs. F. I. Divers.19. Charlie Maynard, envious of the excitement Munson was having with his 1914 Ford, brought the next car into the little valley. Roads which had been carved out sufficient for horse and buggy were rugged to navigate with the horseless carriage.20. Munson, who'd brought the first automobile to Noxon, lived on a ranch next to Bauer's. One day he and Mrs. Bauer were going to Noxon. Coming upon a stump in the road he hollared, "Whoa," instead of hitting the brakes. He whomped into the stump giving Mrs. Bauer a fine pair of black eyes. Auto travel was restricted by road conditions. The rich soil turned to mud in the spring. Until well into summer the driver had to be prepared, and expect to, walk from whichever mud hole entrapped his skinny wheeled motorcar to the nearest ranch to get a team of horses to pull him on through. On his return trip he faced the same problem. This was often repeated several times on any given outing. Creeks and streams had to be forded in most places. In summer, dust swirled up and over the car, liberally coating it and its passengers. From the first snows, usually early in November, the cars would sit enthroned on blocks to preserve the tires, while winter snuggled them in it's blanket of white, making of each just one more lump on the terrain. Barns were for horses and hay. The horseless carriage could sit unsheltered until the warm rains of March played peek-a-boo with the sun melting their blanket of snow into dirty remains around their blocks. Then April's balmy breezes wafted through the canyons to melt the remainder of it from the 'roads'. The first exciting excursion of the year could be eagerly planned. ﻿Dr. C.E.K. Vidal, of the Montana State Tuberculosis Sanitarium, who for many years had owned a ranch just beyond Bull Lake, entertained the Noxon community school gathering one evening with the following account of his first auto trip through the Bull River valley. "The road at that time did not take its present course along the lake shore but climbed up in the timber half a mile to the east. Rutty and filled with a surprising variety and amount of obstacles, the road offered little attraction to vehicle of any kind and certainly was no place for automobiles. 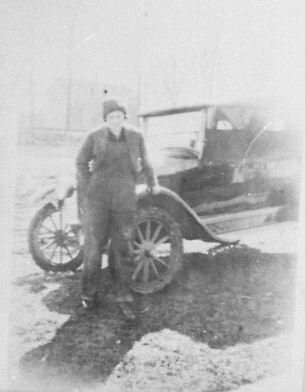 "It was about dawn one morning in the fall of 1915 that Dr. Vidal and his son George left Troy in a Chalmers car and started on the hazardous journey to Noxon. So far as they knew, no one so far had attempted to make the trip in anything more up to date than a spring wagon. "Fallen tree trunks, deep wagon ruts, and an occasional boulder rearing itself up in the middle of the road combined to make things interesting until, just before noon, they met a herd of cattle. The cattle, never having been properly introduced to a car before promptly left the road for parts unknown - but probably distant - and Dr. Vidal was asked by the angry cattle drivers just what he meant by driving such a contrivance over the road. "'This is a county road, isn't it? ', Dr. Vidal asked. "'Yes, it is, but it isn't any place for automobiles! ', was the reply. "One of the most interesting adventures of the trip occurred when the travelers reached Bull River (about half way on their journey). As there was no bridge across it at that time, they had to ford it. (Not Ford it!) As the stream was rather low they believed that they might make it without mishap. However, just as they thought they were safely across, water reached the engine and the car became a temporary island in midstream. Fortunately some men were working on the road not far away. They kindly aided in bringing the car ashore and starting it again on its journey, none the worse for its bath. "It was growing dark when the car reached the stretch of road just across the river from Noxon. Twelve hours, that made up in interest what it lacked in comfort, for the approximately 45 mile drive from Troy to Noxon."21. Circa 1908. Left to right: Ben Saint, Charles Saint, 2 unidentified children, Bryant Bunn, Josephine Bunn, Whitey, Pearl Maynard, Phoebe Saint, Higgins, Harley Higgins, Fanny Saint Higgins, William Higgins and William Ellis. Courtesy William Ellis collection. ﻿Lucy Allen Jenkins said the first car she could remember was Everett Jenkin's. "I believe it was an old Studebaker but I couldn't say for sure. He traded a herd of horses, sold or traded them, to get the car. Then Frank Dusset, one of the saloonkeepers at Heron, got a car. There weren't any garages. Everyone fixed their own car." In July Walter and Lula Lake arrived with their 22-month-old baby daughter, Almeda, and their little son, so that Lula's mother, Mrs. Almeda Ellis, could enjoy her grandchildren. In a short while Lula and Walter filed on a homestead up Bull River and began the task of settling land. Building a cabin was the first order and summer was already well along.22. 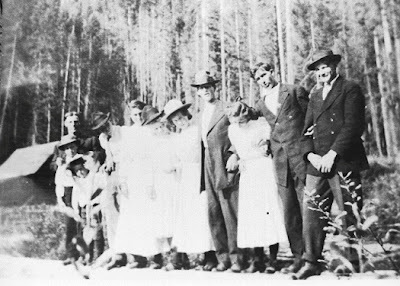 School teacher holding team, unidentified man, Granville Gordon, Stella, Grace and Blanche in front of their mother, Pauline Gordon, at the Bull River Ranger Station, circa 1913-14. Courtesy Blanche Gordon Claxton collection. ﻿ ﻿﻿﻿﻿﻿When school 'took up' in 1915 children of the Pilicks, the Gardners, the Bauers, the Carmichaels, Gordon's little girl, Stella, and young Helen Berray were in classes at the new school, referred to as the Pilick school. The teachers who succeeded each other in the one room building on Bull River boarded and roomed at the Guard Station or at Cap an Julia Berray's ranch. They split their own wood, built fire in the schoolhouse stove, and bucketed water in addition to keeping everything clean and tidy while they taught.23. "In 1915 we had eight months of school at the Pilick school." Helen Berray Kirschbaum recalled. "It was five miles and I walked or took my uncle Jim's pony. I'd ride it as far as the ranger station and leave it there and walk the last mile. Then I could ride him back home. I had a dog, named Jack, who would follow me to school every day. He'd lay out on the porch steps all day long and when it come time for school to be out, why he was ready to go home with me. "He was quite a dog. Very fond of watching someone play ball fetching the strays. One day the folks had some company up from Noxon. The two men and daddy and Uncle Jim and Frank and I got out playing ball. Well, poor old Jackie dog, he had himself just a great time running around and chasin' that ball. "Our yard was really beautiful with some kind of grass that never grew high. It just stayed beautiful green all summer long, just like a lawn. "The men jumped up and went out to the dog. Pretty soon they came back in and told daddy Jackie had had a heart attack from exercise and being too fat. "Boy I just cried and I cried and I cried. When I went to school I just missed that poor dog and I'd sit there and I'd cry and cry. Every pet, every animal I ever owned in my life something always happened. Always. "Uncle Jim bought me a bicycle my last year of school." Mr. and Mrs. Lake had hardly settled in when Caspar Berray, Jim Berray, John Coyer and Marion Cotton made final proof on their homesteads in the Bull River valley, on October 1, 1915. They were the first homesteaders in that valley to receive deeds. They were four jubilant men as they became legal landholders of 160 acres each.24. Men were catching fish or oiling up their rifle in preparation for hunting season while 'Dutch Frank' began painting Peek's store colonial yellow trimmed in tobacco brown on the last of the sunny fall days the middle of October.25. After much cussing and discussing on the streets, in the saloons and the stores and at community meetings held in the schoolhouses, the Sanders County Good Roads Association was formed in November. People were determined to better their travel routes and ready to go to bat for them.26. The ferry service was poor for a few days on account of ice. A few mornings the thermometer registered ten below. Wherever Bull River valley settlers went they circulated a petition for Marion Cotton for road supervisor, again demonstrating their appreciation for the improvement in the Bull River road the past two years and expressing their hope that he would be retained.26. 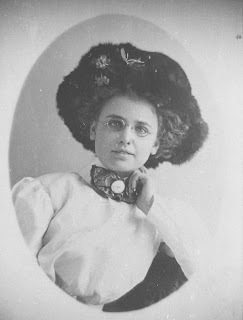 Mrs. J. W. Hammons was confined to bed with illness for several days in December; Eric Winquist made good use of deer feet by converting them into a hat rack; Henry Scheffler completed adding a room to his house; Mrs. Myrtle Collogan rode horseback to Heron last week.26. On Christmas day Mr. and Mrs. George Baker and family, Art, and Mrs. Nola Cressup Baker, entertained Mr. and Mrs. J. P. Collogan and families, Mr. and Mrs. Henry Ellinwood and daughter, Irene, Harvey Schench, and Donald Knowles and Miss Silver Cressup. "Arthur King went to Spokane last week" and "Mrs. Morris' baby is sick at this writing" and "Mrs. Lockman of Bull River was in town Monday." The editor of the newspaper, E. E. Surmer, made a trip on horseback through the Bull River valley, collecting news along the way. 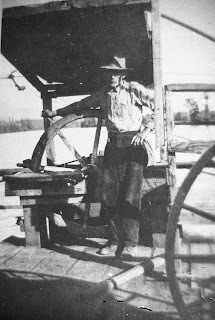 He told his readers that Napoleon Laramie expected "to dispose of his ranch and leave for Florida for the betterment of his health; Joseph Collogan, whose beautiful ranch is located 22 miles from Noxon, is gradually increasing his stocks and making changes ... benefiting his place; Frank Conley, residing within a mile of Bull lake or 24 miles from Noxon is enjoying prosperity during the long winter months, on his homestead which he is fast developing. "I was warned regarding this trip on horseback along Bull River. True enough, I found traveling difficult at times, with snow very deep and a steady fall as I proceeded; yet, bound for my destination, at which place I was invited to spend the evening, I reached the home of Henry Scheffler about dark. During interviews with ranchers along the river I was told of the necessity of a bridge to replace the ferry at Noxon, and the building of an auto road in their section of the country. That the residents of the Bull River district are an enterprising set of people was proven by the splendid manner in which I was received. They are optimistic for the future development of the country and feel that they are entitled to more county improvements in this section. In talking with John B. Corrier, (sic) he said, 'I have been in the country for some time and am very much interested in public improvements and while I cannot yet read English I'll take your paper anyhow, and my friends can read it to me.' A Bull River Boosters' club has been organized."27. It was a fun filled valley as the Yule Ball held at the Pilick schoolhouse drew a good crowd of merrymakers. 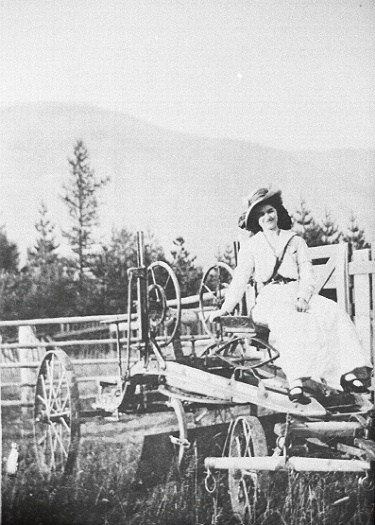 Miss Clara Collogan went home from Heron where she attended school, for a week's visit at her parents Bull river ranch. A horse-drawn sleigh took her from the railhead at Noxon. Miss Silver Knowles spent a few days visiting at the Cotton ranch. From there it was an easy, laughter filled sleigh ride on New Years Eve to the Collogan home. The old year was ushered out with card playing, dancing and a "candy pull", and topped off with a fine goose dinner. Others enjoying it were Mr. and Mrs. Lake, Mr. and Mrs. George Baker, Nola Baker, Miss Silver Higgins, Miss Clara Collogan, Messrs. Haynes, Knowles, Stanley Lake, Hart, Roy, and Henry Ellinwood.27. Winter snows not only improved the pace of work in the timber bounded Montana communities but they also bustled with activity and news. Another Bull River resident, M. Bishop, reported good trapping and lots of snow in the mountains; Frank Conley made a business trip to Troy the first of the week; Mr. and Mrs. J. I. Voorhies and Mr. and Mrs. W. Savage of Troy spent a few days visiting Mrs. Collogan. Miss Lizzie Evans of Perma visited with friends in Noxon; Mrs. Huffman went to Granite, ID last week to visit with her daughter, Mrs. Coombs. The home of Mr. and Mrs. C. L. Baldwin was the scene of a gay dancing party Wednesday evening. About 25 of the followers of "St. Vitus" were present and danced to an assortment of canned music supplied by an Edison a Victor and a hand organ.28. In the neighboring state of Idaho a far different New Years Eve was in progress, the effects of which would have ramifications that spread like the ripples of a pebble dropped into a pond. "New Years' Eve saw the last of the open saloon (in Idaho). Crowds gathered at all the bars and wandered from one place to another as long as the law permitted or the stock of liquor held out. At the Wisconsin bar the supply gave out at 11:30. The other places managed to last out to the appointed time at midnight but with mighty little stock left in their casks and none on their shelves. At John Bode's keno was the order of the hour until the clock struck 12 the remains of the stock were disposed of in that manner. One of the last prizes was a basket of bottled goods, which included a quart bottle of champagne, a quart of good whisky and an assortment of other kinds of liquors. Five dollars was offered the owner but he refused. "Despite the fact that there was drinking and lots of it, there was comparatively little disorder, the police say. Bottled goods were in strong demand to the last and the price of alcohol went skyward long before Friday and was practically unobtainable. Many small private stores of wine and liquor and some large ones are scattered throughout the town, some of them laid in by men who rarely drink but who followed the quite common idea that there should be some in the house for illness, real or fancied."29. Walter Lake sleighed home to his ranch on Bull River after spending Xmas with relations at Noxon. He met Mrs. Collogan's one horse sleigh enroute to Noxon Monday, taking her daughter back to school. While Mrs. Howard (Hazel) Ellinwood visited Mrs. Bauer, the midwife, for a few weeks at Noxon her husband hauled hay from the Baker ranch.30. 1. Sanders County Independent Ledger, December 22, 1911. 2. Sanders County Independent Ledger, January 5, 1912. 3. Sanders County Independent Ledger, March 22, 1912. 4. Sanders County Independent Ledger, March 7, 1913. 5. Sanders County Independent Ledger, June 7, 1912. 6. Sanders County Independent Ledger, July 12, 1912. 7. Sanders County Independent Ledger, August 23, 1912. 8. Sanders County Independent Ledger, February 28, 1913. 9. Sanders County Independent Ledger, spring 1913. 10. Frank Berray, tape-recorded oral history. "Mrs. Dettwiler had a narrow escape when she was bringing a couple of pigs they'd butchered to town and her car got away from her and run down the hill and almost off the end of the ferry. They got the car out of the river. "* Lucy Jenkins tape-recorded oral history, February 2, 1970. 12. Don Maynard, tape-recorded oral history circa 1975. 13. Sanders County Independent Ledger, February 19, 1915. 14. Sanders County Independent Ledger, March 2, 1915. 15. Sanders County Independent Ledger, March 26, 1915. 16. Sanders County Independent Ledger, March 26, 1915. 17. Sanders County Independent Ledger, April 2, 1915. 18. Letter from Carrie Gore, February 23, 1973. 19. Sanders County Independent Ledger, June 18, 1915. 20. Clayton Bauer, tape-recorded oral history, November 1979. 21. Excerpt from the Noxon Buzzer 1929. 22. Letter from Lula Lake, October 27, 1983. 23. Helen Berray Kirschbaum, tape-recorded oral history, October 1978. 24. Sanders County Independent Ledger, October 1915 and Sanders county courthouse records. 25. Sanders County Independent Ledger, October 15, 1915. 26. Sanders County Independent Ledger, December 31, 1915. 27. Sanders County Independent Ledger, December 31, 1915. 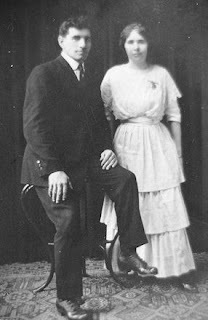 Silver Cressup Baker married Don Knowles, later divorced him, and in 1916 she married Charlie Ellis. 28. Sanders County Independent Ledger, January 7, 1916. 29. Sanders County Independent Ledger, January 14, 1916. 30. Sanders County Independent Ledger.